Launch Control: New England Forest Rally and GRC NYC! 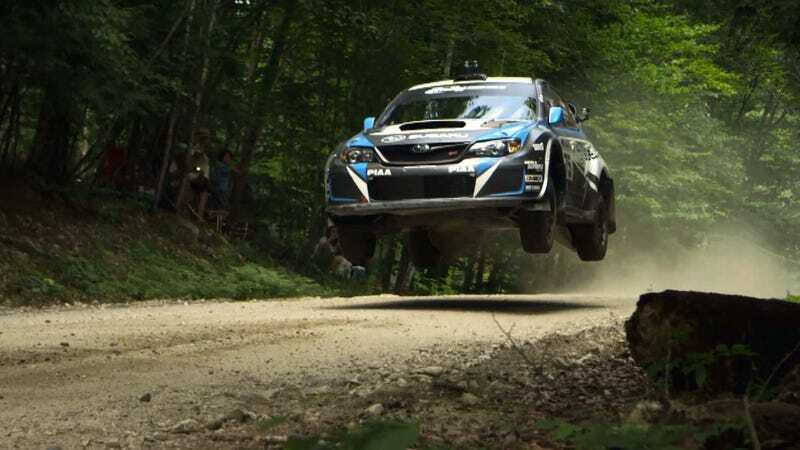 Summer is in full swing in the forests of New England, and this weekend the border country between New Hampshire and Maine is filled with rally cars. David Higgins and Craig Drew of Subaru Rally Team USA are on a mission. A fourth consecutive Rally-America Championship title is within their grasp. They will have to negotiate a mix of twisty and tight forest roads filled with car-breaking rocks. But first, they'll have to beat their teammates, Travis Pastrana and Chrissie Beavis. Watch the full episode. Also available on Roku. On the same weekend, the Global Rallycross series is gearing up in New York at Nassau Colloseum on Long Island. Subaru's Sverre Isachsen is having an outstanding weekend. Heat wins and unbeatable launches set him up on the front row for the finals. Can this be the team's first real chance at a win?